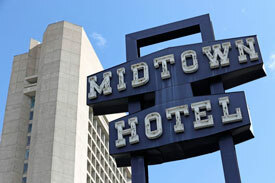 Could the Midtown Hotel site be the home to the next office or residential tower in Boston Back Bay? Speculation says Back Bay would be most receptive to height. A sale of the one-acre site would likely lead to a much larger building in the 159-room hotel’s place, per the Globe’s Tim Logan. And that sale would likelier be on the pricier side, reflecting the skyrocketing land values of prime development sites in downtown Boston in general. For instance, the MidTown site’s lease could go for as much as $80 million—$15 million more than developer Carpenter & Co. paid in 2014 for the smaller site that became One Dalton, which is on its way to being one of the five tallest towers in New England. Additional information is available on Curbed Boston. Commercial Real Estate in Kendall Sq. Copyright © 2012 Boston Realty Advisors. All rights reserved.